This weekend’s Premier League action starts off with a bang as Tottenham Hotspur host Manchester City at White Hart Lane. The Citizens are coming off of their first loss of the season, but despite this setback, Manuel Pellegrini’s men are still the early favorites to claim this year’s title. Tottenham, on the other hand, are coming off of back-to-back league wins after a uninspired start to the year. 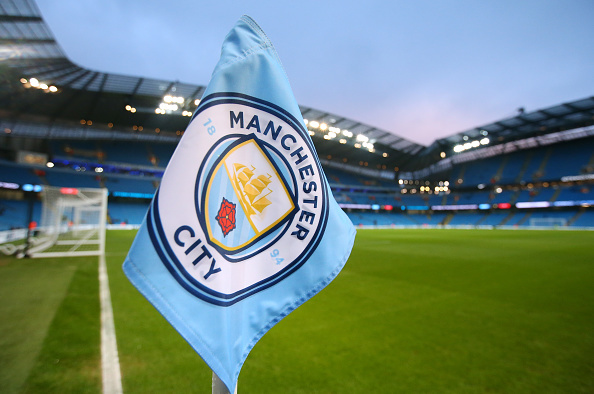 Can they continue this winning streak and give City just their second loss of the year? Midweek, City travelled to the Stadium of Light to take on Sunderland in the Carling Cup. While it’s near-tradition for clubs to field their “B” teams in this competition, City fielded the strongest squad available. The likes of Yaya Touré, Sergio Agüero and Kevin De Bruyne were all in the starting 11, and this formidable squad made quick work of their hosts. Four first half goals secured an easy victory in the competition, but on the flip side, the players now had to recover on just four days rest. In addition to Saturday’s game against Spurs, the Citizens have another Champions fixture Wednesday against Borussia Monchengladbach. With all of these fixtures coming hard and fast, it will be interesting to see who Pellegrini puts on the field. A player I’m going to be focusing on Saturday will be Kevin De Bruyne. The Belgian joined the Citizens right before deadline day for a reported fee of £55 million and with this type of price tag comes hefty expectations. So far, the 24-year-old seems to fit right into his new surroundings. In both of his starts since rejoining the Premier League, De Bruyne has scored twice and during the match against Sunderland he also registered his first assist. While it’s unrealistic to expect the Belgian to continue this influential pace, I think that he can still grow into a key cog in City’s midfield alongside Touré. The combination of his attacking prowess and the Ivorian’s imposing force in defense could be the reason City claims another title this year. There’s one thing that Tottenham and England fans are both still eagerly waiting for this season: a Harry Kane goal. After his 21-goal breakout season last year, Kane was expected to be Spurs’ driving force in attack this year, but it seems his meteoric rise has hit a detour. A lack of other attacking options up front means that the 22-year-old attracts the majority of the attention from opposing defenses. He nearly opened his account during a midweek fixture against Arsenal with an acrobatic scissor kick only for Kieran Gibbs to clear it off the line. The City defense has allowed just two goals so far this season (both against West Ham) so it could be a tall task for Kane to find the back of the net, but if he can score now the goal scoring form from last year could soon return. Through the first six games of the season, Spurs have recorded three clean sheets. In addition to that impressive defensive stat, the North London club has only allowed more than one goal against them once. The partnership of Jan Vertonghen and new signing Toby Alderweireld in the center of defense has emerged as one of the best in the league. Vertonghen and Alderweireld will have their hands full Saturday as they take one of the highest scoring offenses in England. Unless they can handle the potency of Agüero and co. Spurs will find nothing but pain Saturday morning. Whenever you have the star power that City has in its lineup you always have a chance of winning. As Tottenham struggle to find the back of the net, I have to side with the “other” Manchester club to claim another win in their quest for the title. Final score: Tottenham 0-2 Man City.